Unofficial training can often seem like a more viable alternative to its official counterpart. It may often be cheaper, but it’s a false economy – you might not be aware of all the benefits of official training. 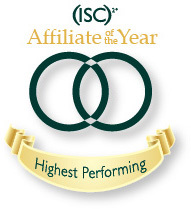 How much better really is it to get your CISSP with an official (ISC)2 provider? With an authorised (ISC)2 training provider, you’ll be learning from official CISSP instructors, vetted and trained by (ISC)2 themselves. Conversely, unauthorised instructors are not taught or trained to deliver official (ISC)2 material. There’s no vetting process for unauthorised instructors, so you’ll be relying on your training providers opinion and this might not align with (ISC)2’s strict guidelines. When going official you’ll get the latest (ISC)2 training materials. When considering that the CISSP exam questions are entirely rewritten roughly every two months, possessing this up-to-date material is crucial. (ISC)2 make sure their exams continually evolve and stay current with information security trends and practices. Every CISSP exam even features a set of secret ‘dummy questions’ (questions which won’t count towards your final score but are used by (ISC)2 to gauge the suitability of new exam questions). (ISC)2 are clearly committed to staying up-to-date. To beat the CISSP exam, you’ll have to as well. This means getting access to official (ISC)2 course material. Use unofficial course material and you run the risk of studying a dated curriculum and obsolete materials. This is because unofficial courses simply don’t have access to the official material. We’ve all taken advantage of practice exam papers as a brilliant method of revision. Nothing can beat the realism that a practice paper provides; knowing exactly what you’re up against can often mean the difference between a pass and a fail. Going into an exam without having seen a past paper can be a gruelling experience. Luckily, authorised (ISC)2 training providers have access to official past papers. Unfortunately, unauthorised training providers just don’t have access to these infinitely useful revision tools. Worst case scenario you’ll be working on questions which just aren’t aligned to the exam your about to take. Official (ISC)2 training providers are able to provide your exams onsite. That means you won’t have to spend £498 on the exam voucher and get yourself down to an exam centre. Instead, you’ll just be sitting your exam in the same facility that you’re already studying in. As you might imagine, unofficial providers can’t offer the exam – you’ll have to make your own arrangements. Firebrand’s official (ISC)2 CISSP Boot Camp is just 7 days. This includes taking and passing your CISSP exam as well as receiving your instant exam results at the training facility on the last day of the course. You’re learning day will last from 9:00am to 9:00pm – that’s 12 hours of actual training each day. With the best similar training providers you’ll only be learning from 9:00am – 5:00pm. On day 6 of our 7 day course, you’ll get an entire 12 hour exam preparation day. During this day your (ISC)2 authorised instructor will explain the methods and techniques you need to know to pass your exam. 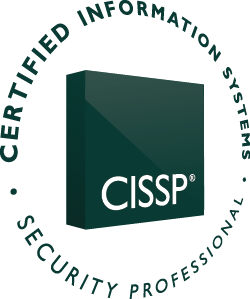 You’ll be better prepared to achieve first-time success when you can focus entirely on achieving your CISSP for seven entire days. And once your exam is completed on your last day, your objective is complete, in no time at all. You’ll essentially be putting a ‘Do Not Disturb’ sign up on the door to your life. So far Firebrand has trained over 55,000 students in this total-immersion and distraction free environment. That’s not to mention that other training courses don’t provide accommodation, an exam voucher or even exam delivery. Find out more about Firebrand’s unique CISSP course on the Firebrand website.